September 2018 – At Somerset Academy Central Miramar, Vice Principal Geyler Herrera has taken unconventional steps to make sure at risk youths stay in school and graduate. She won’t stand for average – and pushes her students for excellence – learn how she uses contracts to motivate her students to high academic achievement, and how she and her students inspire each other. Florida Charter School Alliance (FCSA) Executive Director, Lynn Norman-Teck, talks to Ms. Herrera on this very special episode of Providing Choice. Somerset Academy Central Miramar is a K-12 public charter school in Broward County. CLICK HERE to listen to our conversation with Ms. Herrera. Providing Choice is a Florida Charter School Alliance podcast. Episodes highlight charter school leaders, educators, governing board members, stakeholders, prospective founders, students and parents, to provide a better understanding of the Charter School movement in Florida. 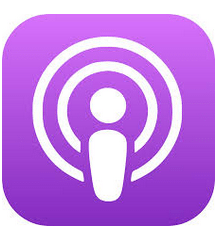 For a complete list of FCSA podcasts, visit Providing Choice.